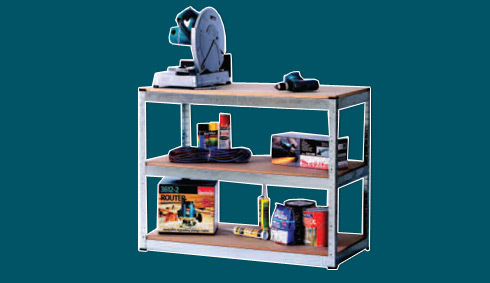 This workbench has a 250 kg load rating per shelf – it’s HEAVY DUTY! Lock together construction and moveable. Approx. dimensions 1140mm wide, x 500mm deep, x 900mm tall. Providing a great work area and storage.